Driving the Glenn Highway is like driving through Alaska’s postcards. You’ll see one scene after another along this road, that you’ve seen in promotional photos and guidebooks. You’ll pass by a massive glacier, and twist around Lion’s Head, an iconic and oddly-placed mountain that causes everyone to stop and take a picture. Glenn Highway begins in Anchorage, and runs northwest to Palmer, then generally east to Glennallen, where it meets the Richardson Highway. 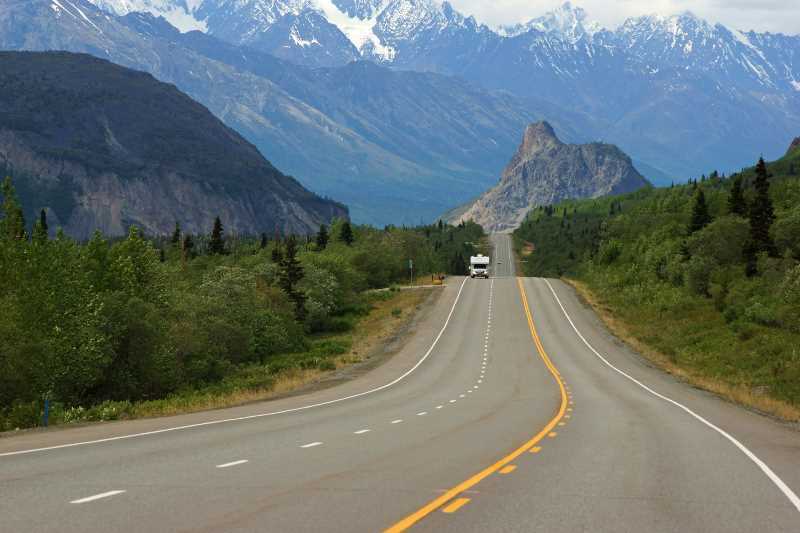 The Glenn Highway is marked as Alaska 1 for its entire length. AK 1 continues past Glennallen, north to Gakona via the Richardson Highway, then east via the Tok Cutoff (which is often considered to be part of the Glenn Highway) to Tok, where it meets the Alaska Highway (AK 2). I started my day in Gakona, which is just a few miles away from Glennallen. My final night in Alaska was spent at the Gakona Roadhouse, which provided a great, rustic experience. … the best view is in the opposite direction. 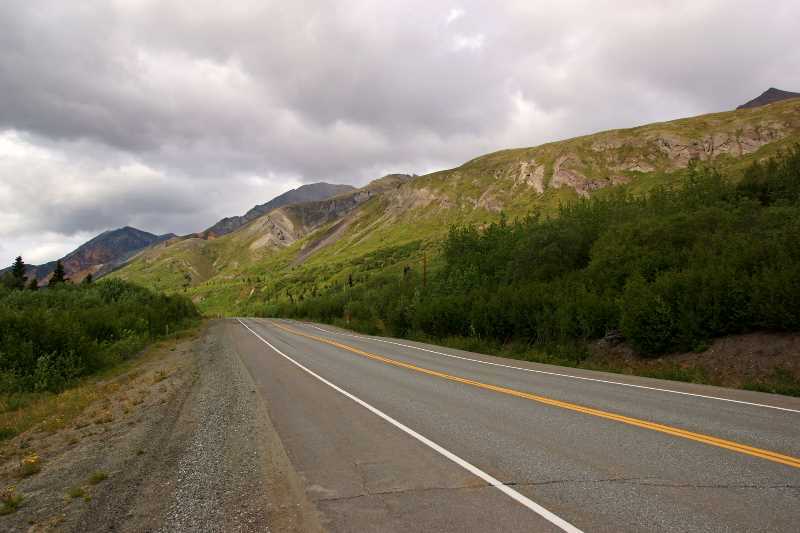 For quite a few miles west of Glennallen, the Glenn Highway is straight as an arrow, heading due east-west. 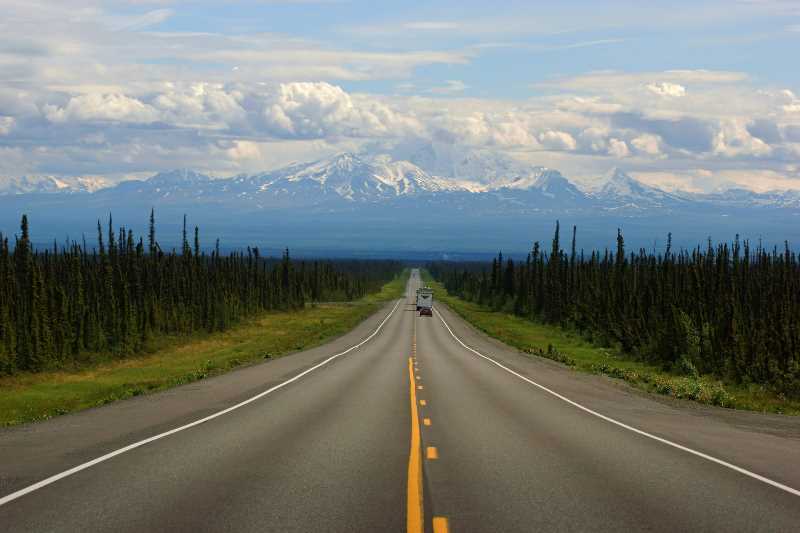 But it’s eastbound drivers who get the magnificent view of the Wrangell Mountains inside Wrangell – St. Elias National Park. The park doesn’t quite touch the highway, so I can’t claim that I visited it. 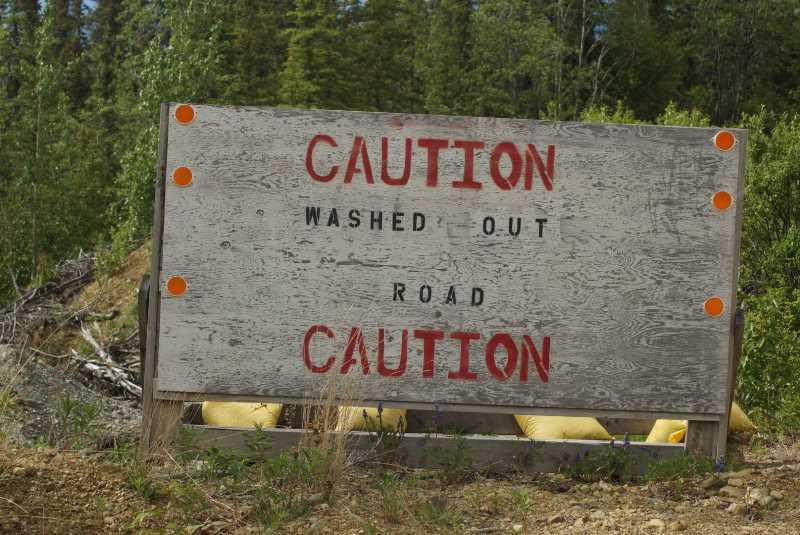 The only way to access the park by vehicle is to drive south on the Richardson Highway, then take Alaska 10/Edgerton Highway, then a ferry ride over to McCarthy Road. I didn’t have time for all that, unfortunately. So, I admired the view in my rear-view, and continued towards Anchorage. As I drove, I noticed a small hill with radio towers at the top. On a whim, I decided to drive up the hill and see if the view was worthwhile. It was pretty good — you can see the Glenn Highway and Wrangell Mountains in this picture — but there wasn’t an actual viewpoint here, so it wasn’t perfect. Oh, and the dirt road that accesses the top of the hill is somewhat treacherous. The sign makes it sound worse than it actually is. Eventually, the straight and relatively flat stretch of road started to gain some elevation and encounter some mountains. A turnout on the south side of the road provides a nice view of the mountains further to the south. A sign posted at this lookout explains that the Glenn Highway is named for Edwin Glenn, a U.S. Army captain. 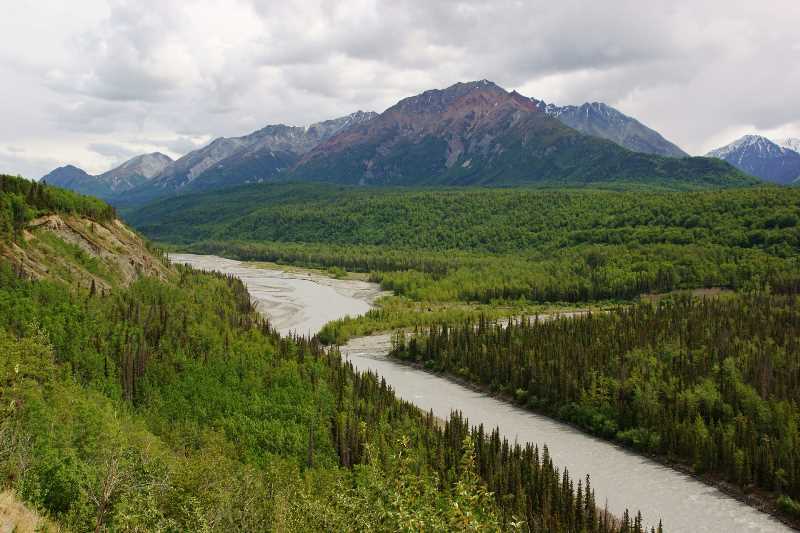 In 1898, Glenn and his men explored the area, searching for a path from the Cook Inlet to the Tanana River. Just beyond that viewpoint, you’ll pass Eureka Summit. 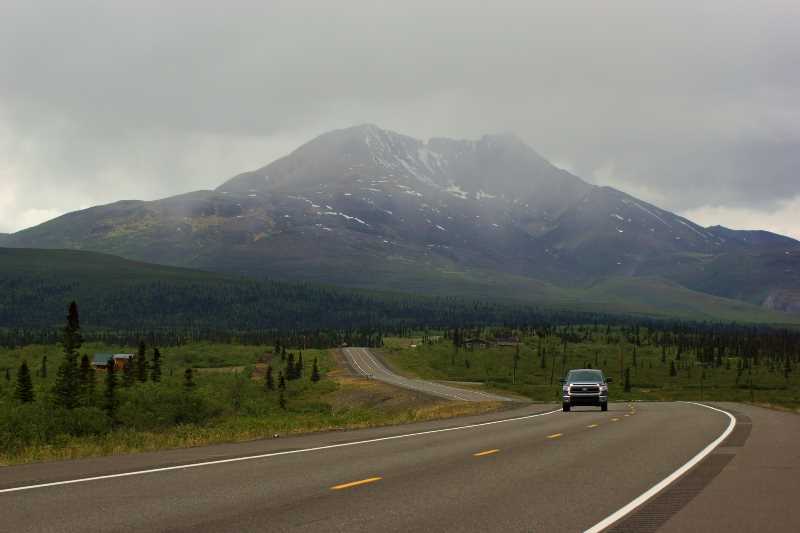 At 3,332 feet (1,016 m), it’s the highest point on the Glenn Highway. You’ll find a roadhouse here, with a restaurant and gas station. … yields some nice views as you drop down the other side. I think that’s the tail-end of Sheep Mountain in the distance. Up ahead, the road will run alongside the foot of Sheep Mountain for miles. The view to the south shows numerous small lakes, including Lake Leila, Trail Lake, Long Lake, Shallow Lake, and Hunter Lake. The Chugach Mountains are just beyond the lakes. … toward Lion’s Head. This is the picture you’ll see, over and over again, as you research your upcoming trip to Alaska. As you drive west, you’ll be treated to this view for a mile or two. You can hike to the top of Lion’s Head, although from what I’ve read, it’s more of a rocky scramble than a hike. The Alaska Star recommends you park near AT&T’s communications tower, and call the number posted on the gate. They will answer, and give you permission to cross onto their land. From there, head up the gravel road, take the right fork, and watch for a rock cairn that marks the beginning of the trail. 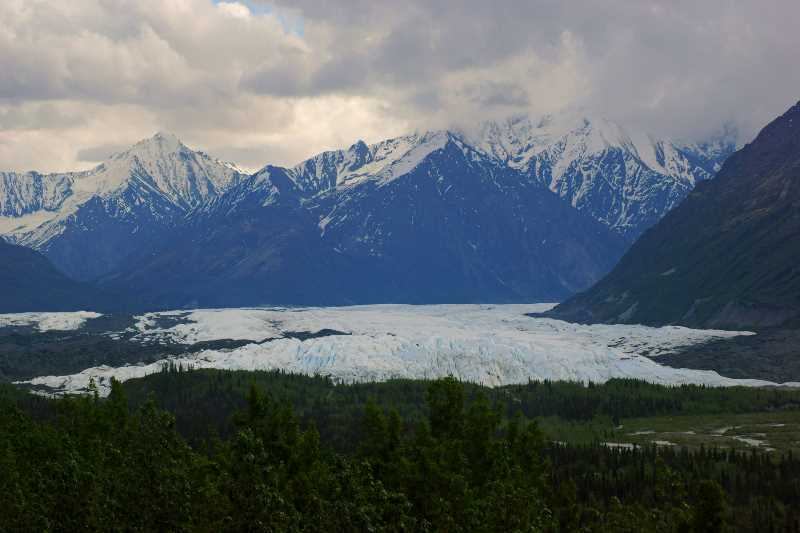 Hike and scramble to the top for an amazing view of the Matanuska Valley. … you can! Take this dirt road down the hill and across the river. You’ll arrive at this gift shop/entrance station. Driving any further requires you pay a fee (I believe it’s $20 per person, but you’ll want to check at the gift shop for current info). Since I had already gotten up-close to a glacier at Exit Glacier near Seward, I decided I didn’t need to pay more money to see another one — although I have no doubt it’s an excellent experience. So, I kept driving towards Anchorage. The landscape continues to be enjoyable as you drive on towards the big city. There are multiple turnouts with nice viewpoints, including this one, overlooking the Matanuska River (downstream from the glacier). 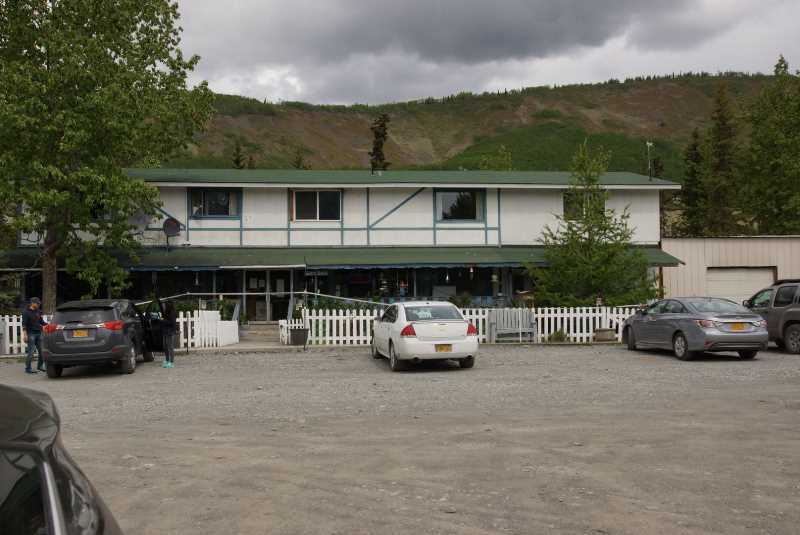 You’ll find another worthwhile stop at the town of Sutton, Alaska. 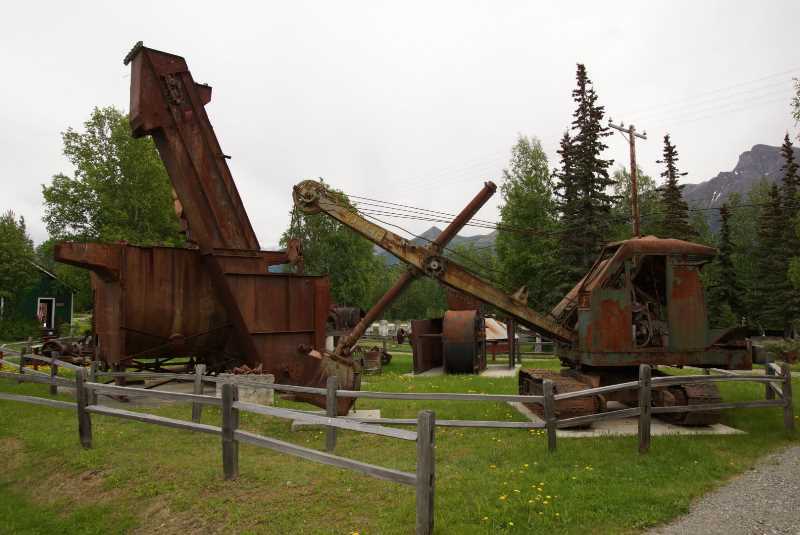 In front of the town’s library, various mining equipment and historic buildings have been preserved in a park. It’s free to wander around and look. I’ll tell you more about Sutton’s Alpine Historical Park on a separate page. Beyond Sutton, you’re almost in the Matanuska-Susitna Valley (or simply, the Mat-Su), which is home to the Anchorage metro area. 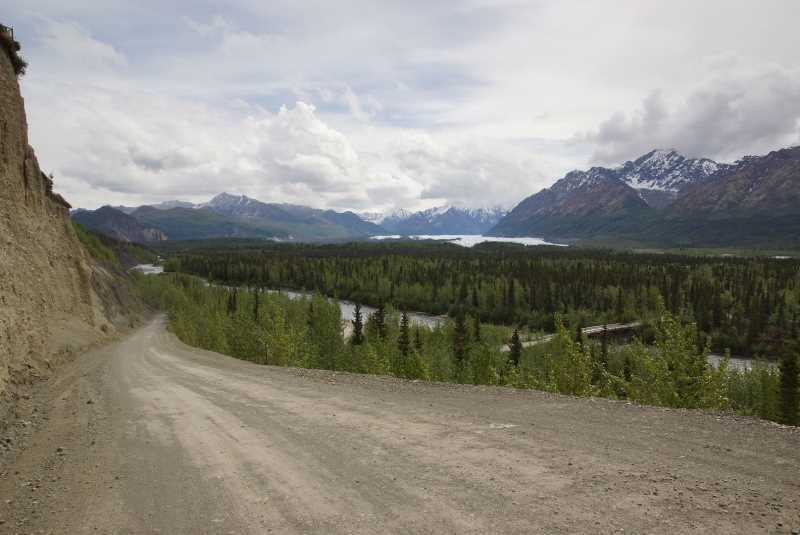 You could drive on to the city, but I’d suggest, if you have time, take a detour up to the Independence Mine State Historical Park, northwest of Palmer and northeast of Wasilla. If it’s not buried in snow, it’s an interesting place to hike, and learn about the area’s mining history. 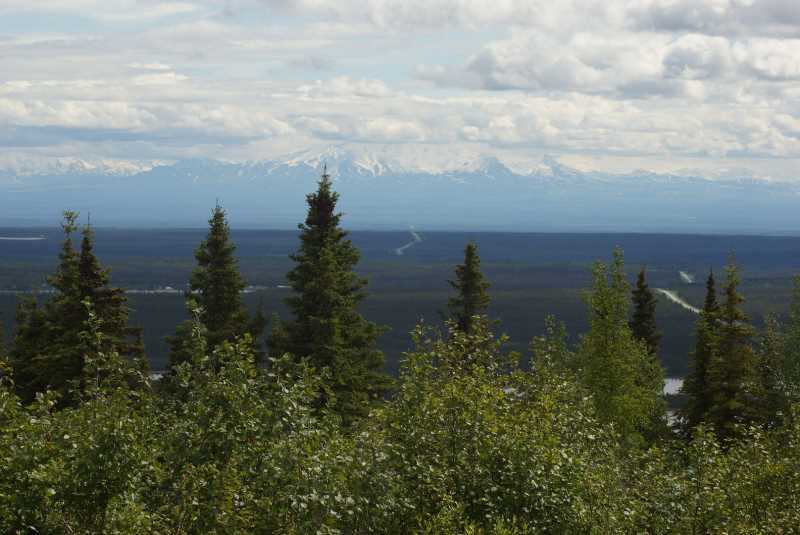 It also provides a great view down into the Mat-Su Valley. I’ll tell you more on a separate page.